Our Pottery classes are for all abilities. 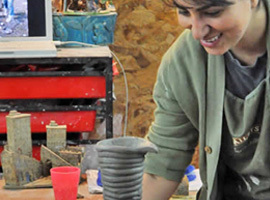 In every class, you are taught by trained pottery teachers to work through the process of making your own pieces. 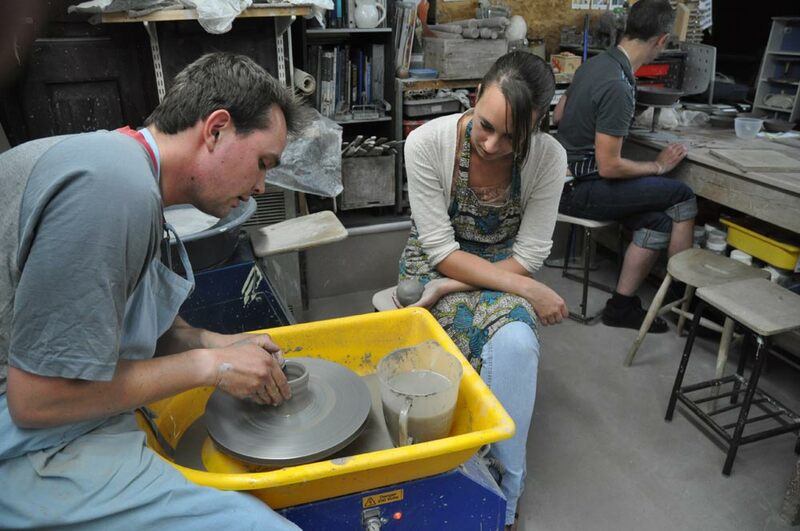 Clapham Pottery runs courses for those wanting to learn to throw or to improve their throwing skills. Children are taught how to make and decorate unique pieces, using a range of pottery techniques. Pottery classes are held during the daytime and evenings for adults and kids, over a 10 week term, with a half term break. Weekend courses for adults are available on a monthly basis. Clapham Pottery classes are taught by professional, working potters from The North Street Potters, which was established in Clapham in 1978. 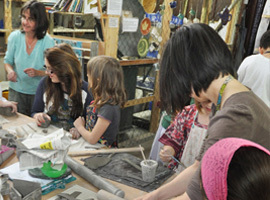 We also offer Pottery Parties and Family Activities. Whatever your ability, everybody is welcome at Clapham Pottery. Classes and workshops must be paid in full at the time of booking/confirmation. Please ensure you can attend the class before paying the fee because refunds can only be considered if there is at least 2 weeks’ notice.In most cases we will be unable to offer a refund unless there is a significant waiting list and we are able to fill the place/s.As a charity and a community pottery, our fees are kept as accessible and affordable as possible but we need to maintain full attendance in all classes. When you register as a student at Clapham Pottery, we will keep a record of your personal details for as long as you remain a student. When you are no longer a student at Clapham Pottery your details will be destroyed. We will never pass your details onto a third party. The current term of day and evening classes has now started and is fully subscribed. We have had to close the waiting list already for the April 2019 term. It had become too long and it would be unlikely that you would get a place. The next waiting list, for the term starting in Sept 2019, will open on 23rd April. Please note that offers of places from waiting lists are made by text so you will need to provide your mobile number. Pottery classes are for all abilities. In every class, you are taught by trained pottery teachers to work through the process of making your own pieces. 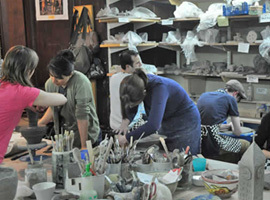 Pottery Parties are available to adults, children or as team building. 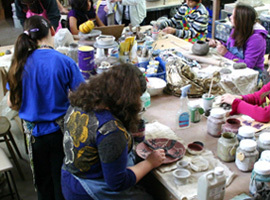 Participants create and decorate their own pots using the wheel or any of the clay techniques. Hen Parties at Clapham Pottery are a fun alternative to the normal Hen events available. 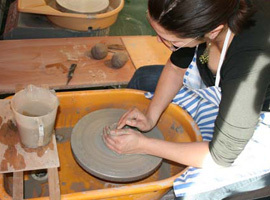 All workshops are run by experienced potters. 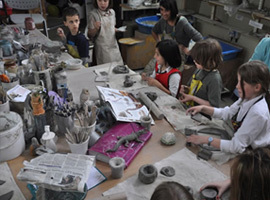 Parties for kids at Clapham Pottery are fun, creative events available for children of all age groups. Family Workshops take place in a relaxed environment where the whole family can have fun together and make their own work. © 2019 Clapham Pottery. All Rights Reserved.